As Kate Middelton stepped out onto the long and luxurious red crapet at Westminster Abbey, the designer was revealed. It was the best kept secret, even for the embroiders of the dress were not even told that it was Sarah Burton for Alexander McQueen. It could not have been any better. It had a timeless look to it, mixed with a modern feel. The dress was made of hand cut English lace and french chantilly lace used on the bodice and on the skirt which was also made of silk gazar. It reminded me of Grace Kelly’s royal wedding dress, which also consisted of lace on the bodice. 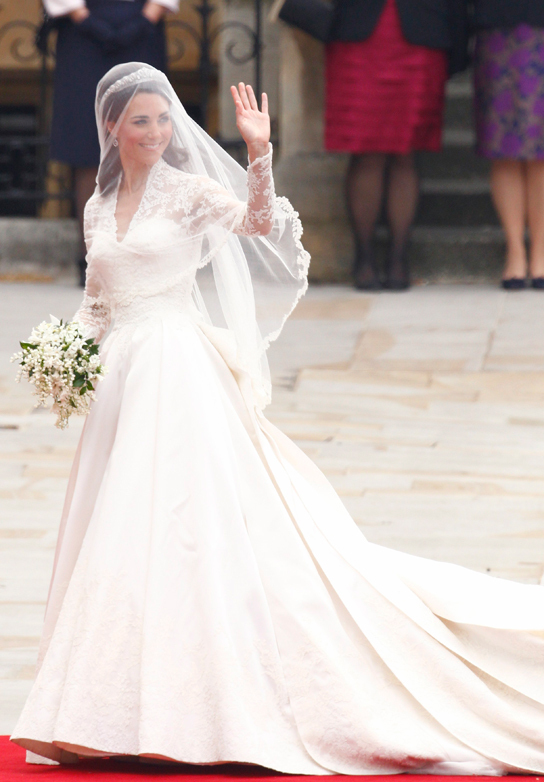 Not only did Burton design the wedding dress, she also designed kate’s shoes and bridesmaid Pippa’s long, lean and simple gown with a cowl neck. It was pure Alexander McQueen. At a wedding of course there has to be guests. If there’s guests, then there’s a best dressed. It was hard for me to choose one person out of 2000, but in the end, it had to go to someone who really stood out from the crowd, and who I remembered after seeing Kate step out in true British masterpiece. Through all the tweed, Top hat’s and tiara’s, I finally came to a conclusion. Tara Palmer Tomkinson (TPT) looked electrifying in kingfisher blue. With the hat by Philip Treacy (of course), shoes by Nicholas Kirkwood and an unknown dress designer, she really pulled a perfect outfit together. Well done TPT! Enter your email address to follow Gavin Norton's blog and receive notifications of new posts by email.